For most people, work is a means to an end. But it doesn't have to be this way - it can be a profound vehicle for your self-expression and purpose. Where will your career be in 10 years’ time? In my experience, 80% of people will attempt to answer this question by talking about rises in their seniority and pay. 10% will cite greater responsibility. The remaining 10% will talk about work as a path of self-expression, personal growth and discovery of personal purpose. They’ll mention a need to be challenged and fulfilled by their work, feeling appreciated whilst there and leaving it every day with a sense of accomplishment. Why Do We Not Like To Work? Unfortunately for most people in the Western world work is still “just work”, with only 30% of employees feeling engaged enough to care. It was much the same for our parents, who generally accepted that work is a means to an end. This is hardly a surprise when you consider the context in which modern employment was born. It emerged as an alternative to the peasantry-dominated system which preceded it, because it afforded a comparatively superior standard of living. 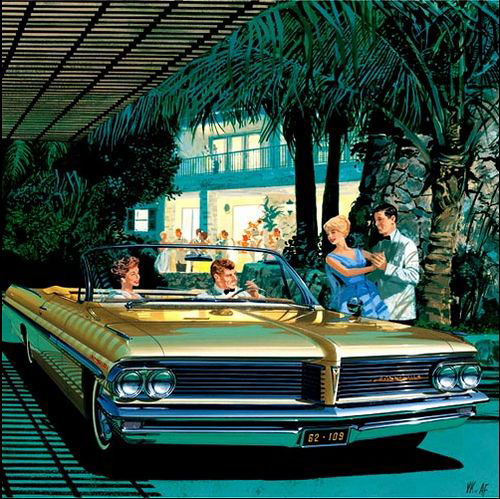 During the Golden Age of 1960’s, work as a means of enabling consumption became the collective purpose of Western societies. While comfortable, this approach to work has one fundamental flaw – it celebrates outcome more than the process, thus robbing us of the opportunity to experience deep, intrinsic fulfilment whilst at work. It leads us to believe that a decent salary, a relative safety net of a full-time job and progression up the ladder are the main cornerstones of a remarkable career. This system quickly became the norm. After a while, we stopped asking questions and accepted that this less-than-perfect situation is the way “things ought to be”. And yet, regardless of how much success we achieved in this system, we were always left with a deep-seated knowingness that something is amiss and, given the freedom, we would throw it all away for an opportunity to be part of something more meaningful. How To Love Your Work. A recent Future Of Work And The Workplace report highlights that more of us are expressing an interest in reimagining the future workplace. 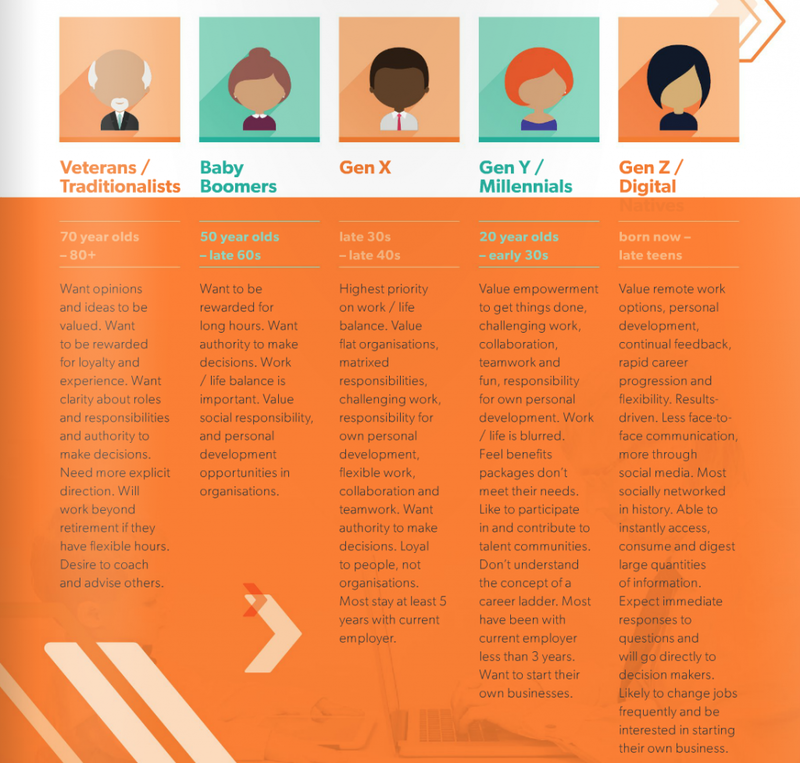 Generation Y specifically is leading the change, expecting that their employers offer incentives which go beyond enabling the purchase of consumer goods and receiving recognition. It’s expected that, over the next 10 years the world of work will change in ways which will enable people to experience work in a new light – which is the main motivation for this post. I’m not setting out to write a “How-To” article where I tell you how to live your life; there’s no shortage of those on the Internet. This won’t be a nebulous, academic, heady discussion which has no practical applications, either. I’m writing this because I want to help create a world where “thank God it’s Friday” doesn’t exist; I dream of a world where people look forward to going to work and are energised by their jobs. To this end, I want to go on a journey in which I examine 15 key workplace, societal and technological trends which you can choose to leverage in order to build a successful career – one which brings satisfaction, joy, connection and a sense of purpose to your life. 1. Work Will Become A Consumer Experience. [People] want to work with intelligent people on exciting and rewarding projects where they can be creative and left alone to get the job done; values and purpose are as important as money; working for social good is an option; and they want to be a part of ‘the next big thing’”, points out the report. Companies such as Zappos, HubSpot and Netflix are leading the way in catering to this shift, by responding with a strong emphasis on positive, authentic-to-the-core cultures centered around freedom, courage, curiosity, excellence and high performance. Similarly, Etsy is treating their HR policies as art, Patagonia has famously asked us not to buy their goods and Tom’s is busy giving shoes to people in need. This practice stands in contrast to the common corporate approach of masking a core desire for meaningless growth with a thin veil of corporate social responsibility; it takes place at the core level and is designed to address employees’ core needs. “Employees are vastly more satisfied and productive, it turns out, when four of their core needs are met: physical, through opportunities to regularly renew and recharge at work; emotional, by feeling valued and appreciated for their contributions; mental, when they have the opportunity to focus in an absorbed way on their most important tasks and define when and where they get their work done; and spiritual, by doing more of what they do best and enjoy most, and by feeling connected to a higher purpose at work” – NY Times Energy Project. 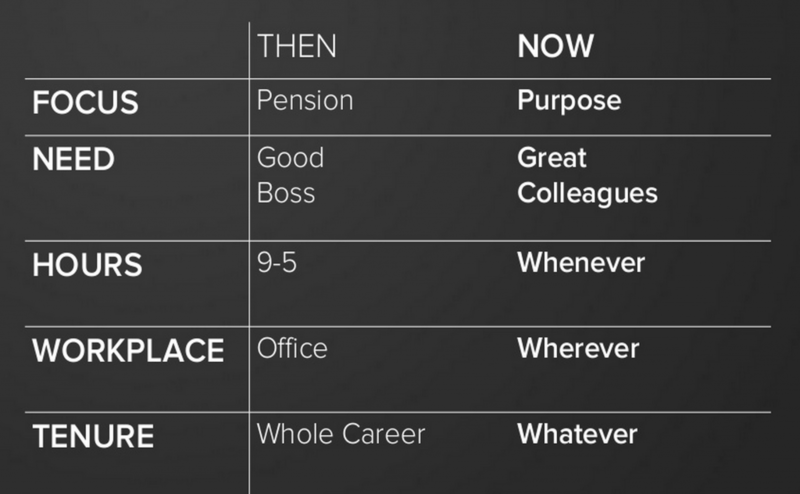 For employees such “purpose-centered” companies will provide prime opportunities for growth, autonomy and responsibility. What does all this mean for you as an employee? Well, the key pre-requisite to getting a coveted job at such a company will be an ability to define, and live by, your own values and purpose. These companies will look for people whose personal mission integrates in a win-win way with that of their own. This is not the same as knowing “the right answers” and suppressing yourself effectively enough in order to fit in and be accepted by the company. Rather, it’s knowing who you are, what value you bring, why you do what you do and being able to communicate it powerfully verbally and non-verbally through a solid track record of performance through your resume, your online and offline networks and your online presence. 2. Digital Fluency Will Become A Pre-Requisite. 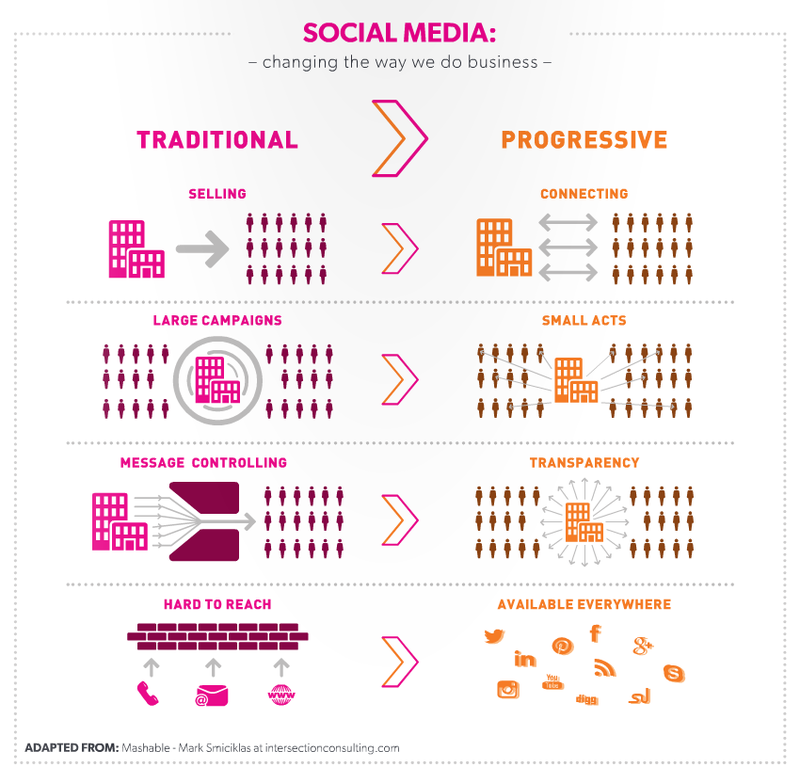 Social media will fuel a radical shift in how companies are communicating with the outside world. Even today we’re witnessing a rapid adoption of the “brand as publisher” philosophy, which puts social media and content production at the core of every business (in contrast to where it once was – a poor cousin to print advertising, neglected somewhere in the back of the marketing department). This creates a new set of criteria for employees: a fluency in WordPress, Twitter and LinkedIn, Facebook, etc, but more so – it’s the ability to employ those platforms in ways which contribute to overall business strategy. Importantly, the requirement to harness social media will travel well beyond the marketing department. As companies become more comfortable with the Internet, we’ll see a continued rise in online platforms being leveraged not only for content production, but for crowdsourced recruiting, news reporting, C-Suite communication with employees and so on. In 10 years there’ll be a few jobs worth applying for which won’t require social media and digital shrewdness. 3. Workspaces Will Become Flexible. Collaboration technologies will facilitate the creation of next-generation workplaces which give employees the freedom to work anytime, anywhere. Research by the Institute For The Future points out that commuting to a pre-defined workplace 5 days a week is set to cease being the norm. Instead, we might work a few days per week from home, a few from the company headquarters and a few from a local co-working space. Underneath this shift are new ways of employing communications technology coupled with an evolution in leadership practices. “To this end, CIO’s must be prepared to accept that for some customers and employees, smartphones, augmented reality and video may actually be preferred over conventional business meetings and traditional practices”, points out Uldrich. For employees it means adapting to the unstructured workplace and developing an ability to create results without oversight. For managers and executives, it will require moving away from micromanagement and drawing upon the experience of companies like Automattic (makers of WordPress), which famously doesn’t have an office, bosses, email or traditional reporting lines. 4. Focus On Intrinsic Motivations Will Increase. What do Peter Thiel, Malcolm Turnbull and Lady Gaga have in common? To a casual observer it may seem like they’re juggling many balls in the air at the same time (quite successfully, might I add). A closer look reveals that their numerous (and seemingly different) worldly achievements are expressions of a single, deeper, sharply focused theme which ties all of their activities together. As career coach Kathy Caprino points out, it’s important for us to identify with career goals which are intrinsic, rather than extrinsic, in nature. In the past this approach was somewhat hindered by our limited ability to create and maintain personal and professional networks that were relevant to our interests. In the future world, social networks will provide us with an almost infinite reach, enabling us to leverage our talents, connecting to others who share our passions with ease and in unexpected ways. 5. Lines Between Entrepreneurship And Employment Will Blur. Particularly in the context of Gen Y, non-linear career paths are set to replace traditional career ladders and “jobs for life”. Periods of working for an employer mixed with freelancing, flexible working and entrepreneurship are emerging as the norm. In this world, our digital footprints (or online personal brands, if you prefer) will become the means through which we market ourselves, discovering job opportunities and getting discovered by employers. Consider an accountant working at a Senior Consultant level at a large financial services firm, for example. He specialises in providing assurance, tax and advisory services to private businesses, entrepreneurs and high net worth individuals. He finds that in particular he enjoys helping small business owners. He is inspired by their success stories, which leads him to start a blog with a strict focus on advising SMEs with sub-$10M turnover on effective tax minimisation strategies. He builds up a healthy body of authoritative posts and decides to leverage his expertise; he approaches a blog like SmartCompany to become a regular contributor on small business tax matters. He is accepted. Some time down the track he receives an invitation from Anthill to cover small business tax matters for them, too. He further leverages his newfound influence by using Twitter hashtags and LinkedIn groups, providing tips to small business owners. One day he receives an email from a business owner who became interested in hiring him as a consultant after reading one of his articles. Our accountant is now wearing the hats of employee, consultant, published taxation expert and entrepreneur in the course of one week. The further he travels along this path, the more the label “I have a full-time job” ceases to apply to him. 6. Online Presence Will Become Essential. I’ve alluded to this already, but now it’s time to explore this point in more detail. Five years ago applying for a job meant sending in your resume and waiting for the phone to ring. In the next five years, a resume will be just as important to make a powerful first impression, however it won’t be enough to get a call. If a recruiter likes your resume, he’ll immediately go online to find out more about your motivations, achievements and personality. If you don’t have a strong digital presence, you’ll get overlooked. Not having your brand online also means that you miss out every time a recruiter searches the web and social media platforms for someone who matches your profile – and finds someone else. If you’re serious about your career, you will not be able to rely solely on job boards, traditional resumes and your old network to present you with excellent job opportunities. The future of work will involve individuals behaving like businesses to get jobs, using their online personal brands (digital footprints), and social networks to both actively search for jobs and passively get discovered by recruiters. Hiring through niche-specific social networks will also pick up pace. A software engineer, for example, might find herself approached through an elegant solution she posted on GitHub. This raises the obvious question – what about all of us who are not software engineers? The answer is – same principles apply. We’ll soon see an emergence of online micro-communities around most professions (just have a look at what SEO professionals and creatives have already done). The key to getting noticed in such online hubs will be in disseminating ideas which add real value to their members (not just creating noise). 7. Radical Transparency Will Be Embraced. Global connectivity through social media will continue to erode traditional barriers between companies, their employees and consumers. Credit: Virgin New Ways of Working Report. In the past both employers and employees cultivated their image through control of communication. Everyone attempted to present a carefully crafted image of themselves to the outside world (which often had little to do with the reality). Employers did it by investing into PR and running tightly managed communications departments. Employees did it by learning the “right” things to say to employers. This is now largely impossible, because social media has removed a large degree of companies’ control over what’s being said about them in the online public domain (they can only respond). Similarly, you also can’t hide. Well, to be more specific you can (by not having an online digital footprint), but – as we’ve already seen – at your own peril. In a world where everyone is online, a lack of online presence will be regarded with suspicion by employers. This leaves authenticity and openness the most effective approach for crafting an online presence. As Dr Mo Ibrahim, founder of Celtel International commented, “if we’re all naked, we had better look good”. The key here is to differentiate between message controlling and transparency. The former is based around attempting to look good by masking the real self with desirable qualities. The latter is based around removal of barriers, thus allowing an authentic expression of self. The best roles will go to those who have a real, authentic, demonstrated track record of work-related achievement available online and offline. (For purpose-driven organisations and individuals, this shouldn’t be a problem – their core purpose should manifest itself in everything they do). 8. Your Job Might Get Moved Overseas. Digital technology has little respect for national borders. Deloitte predicts that developing countries will contribute 55% of the global GDP by 2018. This means we are about to experience a new wave offshoring; many currently “safe” western jobs will be moved overseas. In the past, offshoring was viewed as a cost-effective, second-tier alternative to employing local talent; India was synonymous with not-so-great technology solutions while China held the same place in manufacturing. Offshoring 2.0, will differ in one significant way – we will see talented, highly motivated workers with relevant skills for the digital age bidding for Western jobs. PhD’s – “poor, hungry, driven”, as leading Australian entrepreneur Matt Barrie calls them, will come in the form overseas talent from Malaysia, Poland, Czech Republic and the Philippines. For employees in Western countries, it means that staying relevant is the new challenge. There’s a need to constantly reinvent yourself and have the capacity to add value not through skills that can be easily bought cheaper overseas, but through an ability to make wise decisions, think strategically, communicate effectively, provide thought leadership and challenge the status quo – someone Seth Godin calls a Linchpin. “Knowledge and experience are no longer the primary commodity. Instead what is far more valuable is the ability to learn and to apply those learnings into new and unique scenarios” – Jacob Morgan in The Future of Work: Attract New Talent, Build Better Leaders and Create A Competitive Organization. 9. You Might Never Retire. Millennials will soon make up the majority of the workforce, however mature workers are staying in employment longer. A recent Deloitte study showed that 48 percent of Baby Boomers expect to keep working past the age of 65 and 13 percent believe they will keep working into their 70s. This presents a number of challenges and opportunities, with Millennials and Boomers having contrasting (and often conflicting) attitudes, expectations, values and approaches to work. If you’re a Millennial, you will need to develop leadership skills that enable you to manage people who are older than you. The teams you lead might not have the same world views and value systems, leading to novel and unexpected problems. Gen X and Boomer senior managers, on the other hand, will have to deal with leading teams who value autonomy far more than salary and have a surprising lack of respect for traditional hierarchies. 10. The Sharing Economy Will Explode. The so-called sharing economy will allow people to become less dependent on the employer. While Airtasker, Uber or AirBnB might not be seen by all as sustainable modes of income, they will provide an alternative (or supplementary) option which nearly anyone can tap into. Knowing that you can fall back on your cooking skills or all-round handyness to make a living can influence career moves, decisions to take time off and provide casual employment for those between jobs, the elderly or those who want to work part-time. The flipside is that, similarly, companies will also tap into this sharing economy by assembling teams in “the cloud” to do sales, data entry and customer support. For employees this will mean a greater availability of flexible, on-demand opportunities within such roles. However that will mean people currently employed within these roles on a permanent basis may find themselves facing decreased job security. 11. Even More Micro-Niche Experts Will Emerge. In the early days of the web, search engines were the predominant method through which we discovered online content. The search results were based largely on links and keywords; personalisation was minimal. You saw results that Google believed the “average” person would want to see. Social networks removed that limitation because they were inherently personalised. Facebook, Twitter and LinkedIn determine what appears in our feeds based on your interests, search history and connections. This has led to what many call the echo-chamber effect. Your behaviour online determines who is likely to appear in your feed. The more you exhibit interest in one topic (or in a person who writes about the topic), the more focused your online experience becomes around that topic. This explains why the huge world of web can occur remarkably small, with the same people and topics popping up into our realm of awareness. The interesting impact this has on careers is the amplification of experts’ voices who claim authority over specific niches. Becoming known as an expert in the field no longer requires beating the TV celebrities who also provide advice on the same topic. It requires winning trust and loyalty among a small niche of people who you want to serve. It begins with – you guessed it – your own personal unique value proposition, which must be clearly apparent to anyone who types your name and profession into Google. 12. Superstar CEOs Will Disappear. Future organisations will require a new breed of leaders in order to survive and thrive. There are calls to embrace new ways to think about management; ones which empowers individual people with high levels of autonomy to restructure companies from hierarchies to “wirearchies”. “The days of successful leaders being overly controlling are numbered .. the future of leadership will see employees being given far more freedom and opportunity” – Richard Branson. New Ways Of Working report points out that in the past leaders were expected to have all the answers. Now it’s more useful for them to ask the right questions. The “superstar CEO” icon of the 1990’s is giving way to a more humble, hands-on, passionate leader who people can relate to. This is very much a fertile ground that’s yearning for thought leadership. Shrewd managers who are eager to rethink the status quo will emerge as thought leaders and cement their reputation as success stories of this era. 13. Education Will Be Rebuilt. There are renewed calls to rethink, redesign and rebuild the education system as a way of solving the growing global talent time bomb problem (which is – in a nutshell – that we simply do not have enough people with the right kinds of skills for 21st-century jobs. I think that this will lead to a deregulation of education systems and emergence of more alternative, nationally recognised schools. Additionally, the shift from “push” method of education (where learning is pushed upon people during training sessions that are scheduled between periods of work) to “pull” method of learning (where learning is seamlessly sourced through search engines, computers, mobile devices and online courses as demand requires it) will pick up pace. A raft of opportunities for entrepreneurially-minded people with a passion for education will present themselves, both in restructuring the current systems and creating new ones. 14. Entrepreneurs Will Exit The Corporate World En Masse. Most teens and Generation Y workers are quite vocal about their desire to start their own business. This is important to note because, according to PwC’s Millennials at Work report, Generation Y are expected to make up 50% of the workforce by 2020 and 75% of the global workforce by 2025. The net effect of that is a huge amount of young people leaving the corporate life in order to pursue their entrepreneurial dreams. Given that most startup founders fail 2-3 times before creating a successful venture, it’s safe to assume that many will enter a pattern of working for themselves, followed by a period of working for an employer, then starting another venture. 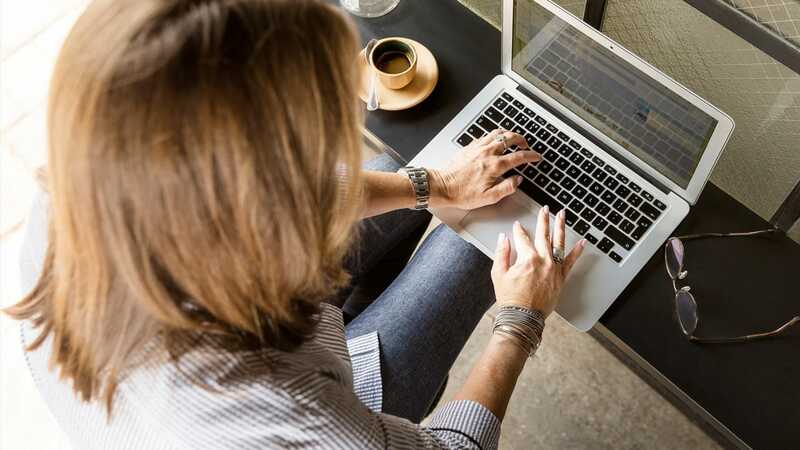 Freelancing will emerge as an acceptable and legitimate form of employment due to the rise in online platforms and the flexibility they will give people to leverage their skills. (34% of the American workforce already classifies themselves as freelancers and these numbers will grow every year). 15. Traditional Job Boards Will Continue To Decay. Platforms like Switch and Jobr have transformed job search from bureaucratic and dreary into a positively pleasant experience, leading people to develop a habit of flicking through desirable workplaces and jobs as a past-time (not unlike flicking through dream real estate is a Saturday morning past-time for many of us). For job seekers this trend highlights the importance of looking for jobs in places that are beyond traditional, well-known job boards. Innovative companies with technology at their core will be more inclined to look for talent through cutting-edge platforms; in order to find the best opportunities you’ll have to hang out where they are. Ensure that your resume is mobile phone-friendly, your LinkedIn profile powerfully communicates your story (ensure isn’t not just a rehash of your resume) and incorporate job prospecting through alternate platforms into your daily routine using a mobile device (43% of job seekers already use mobile devices to apply for jobs and this number will continue to rise). This Is Not Written As “Truth”. I’m interested not in being 100% right, but in observing the world around me, wrestling with ideas, facilitating discussion and provoking thought – all with a view to improve our experience at work. As such, I welcome feedback, thoughts and your views on the issues presented above. What’s apparent to me is that careers of the future will be more individualised. More people will begin to search for their own meanings through their jobs. Success will no longer be synonymous with “corner office and partnership at a professional services firm”. As social media continues to expose harsh, oversold realities of such paths, more and more workers will be looking towards meaningful engagements, whether they involve working for employers or for themselves. As such, the notion of “work for life” will crumble forever as freelancers, project-by-project workers, entrepreneurs mix full-time work with on-the-side gigs that are useful to them at that point in their life. More people will continue on the journey of self-discovery, looking for ways they can offer their skills and gifts to the world in a way which makes a difference to others and provides a meaningful, sustained form of income for them. Tying it all together will be online presence; indeed, in a world where others’ perception of you is a function of a Google query, you need to own a fair chunk of online real estate, ensuring that your value proposition is clearly articulated on the web. This future is coming soon and will dissolve barriers to how business is conducted, and it is imperative that you begin planning for this future today.